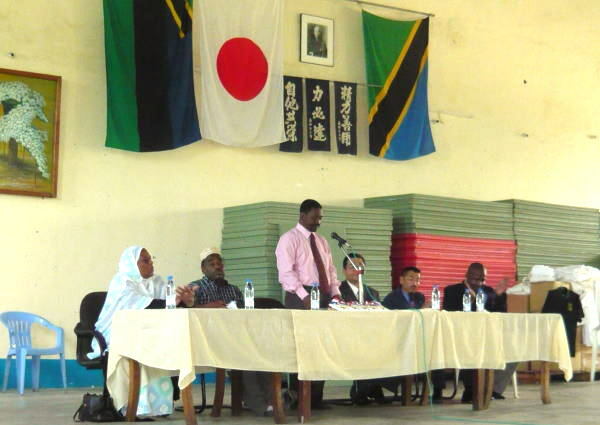 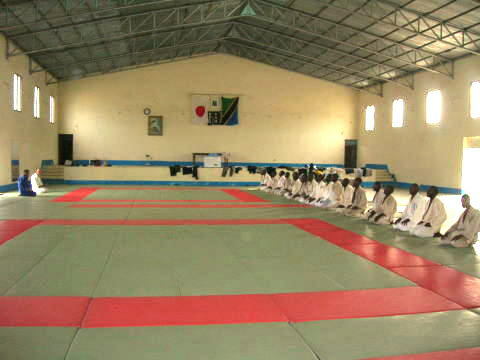 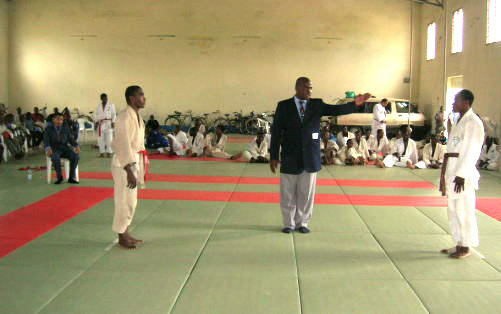 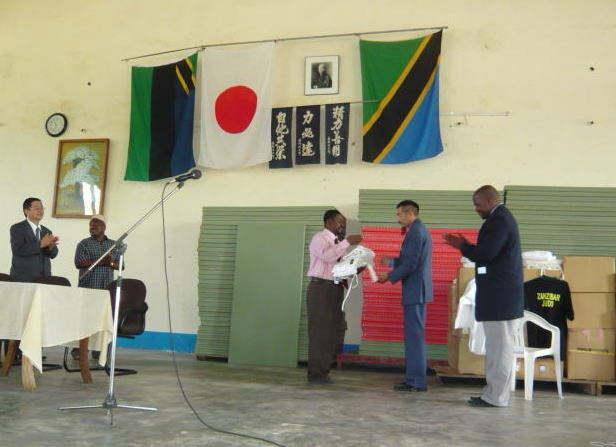 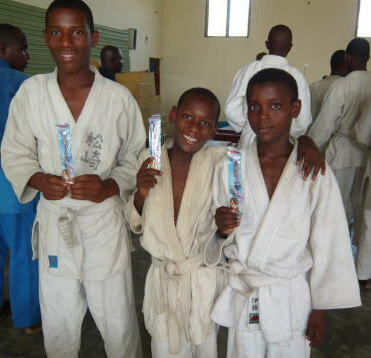 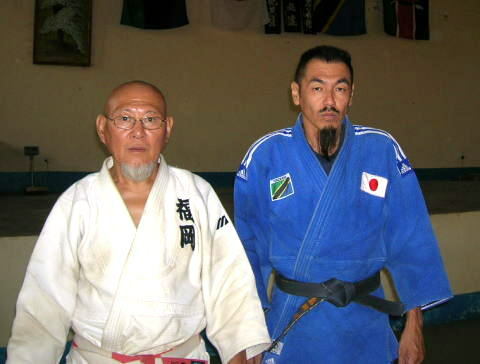 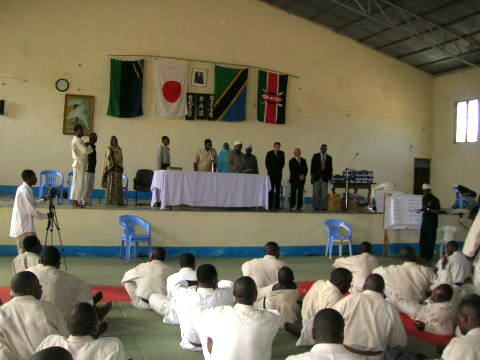 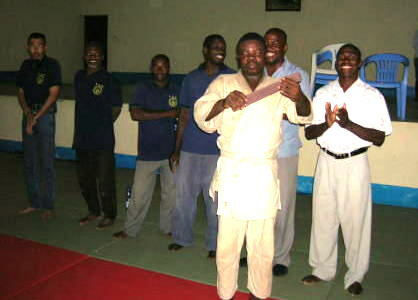 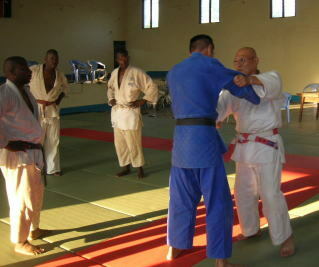 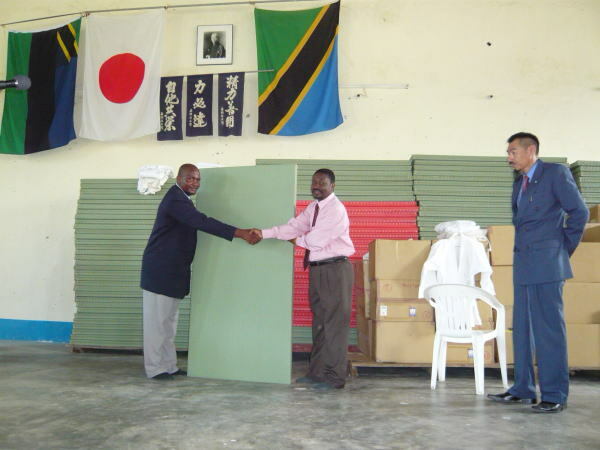 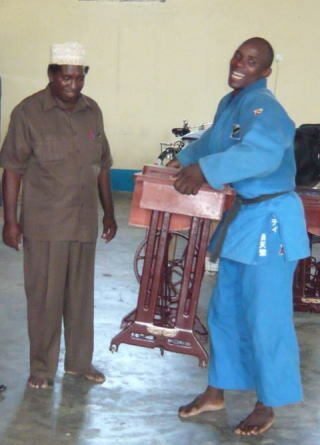 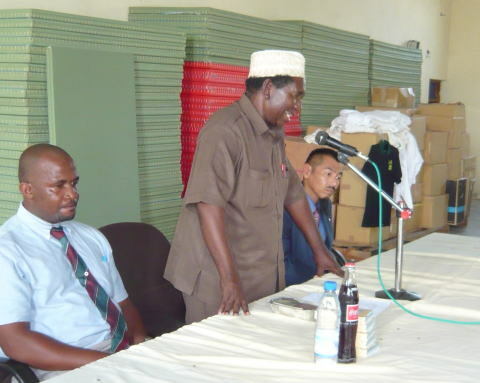 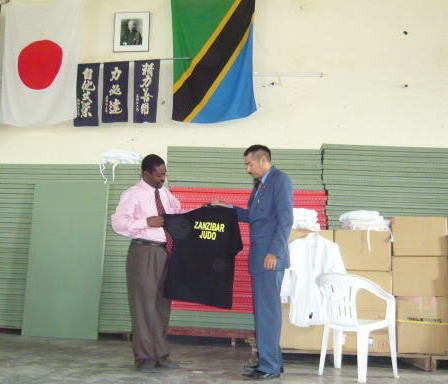 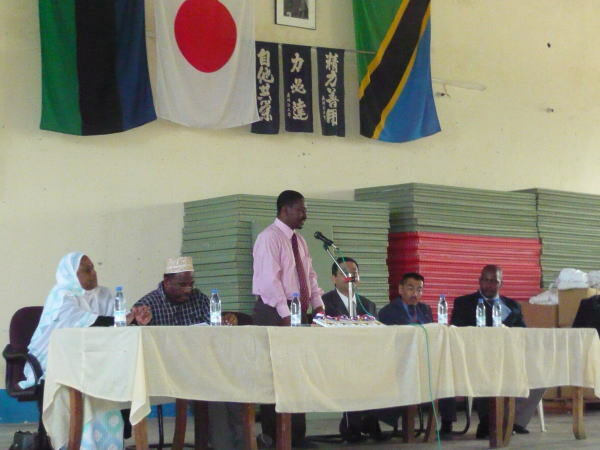 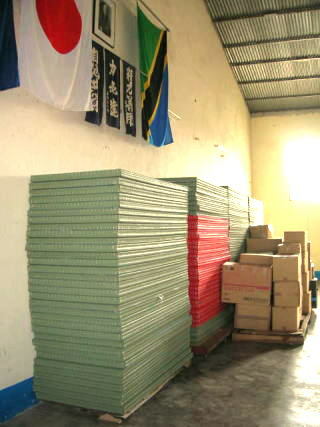 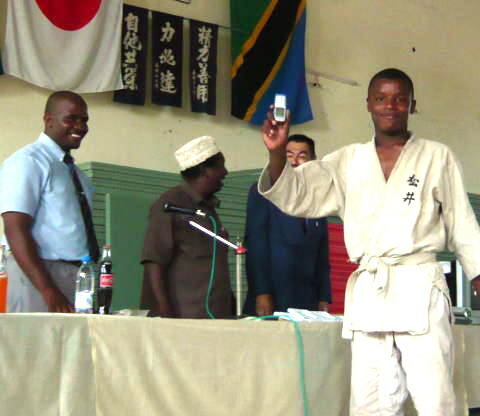 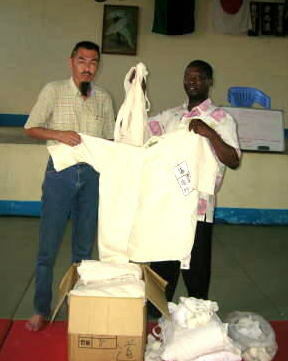 Zanzibar Judo Association have received contributions of Judo goods from Japan. 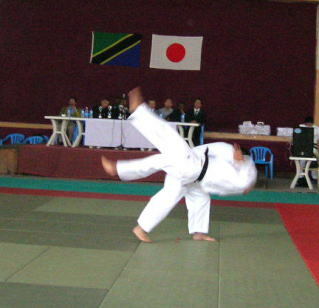 *Judogi x 300 by All Japan Judo Federation, Juntendo-University, Tokai University, the National Institute of Fitness and Sports in Kanoya, Isogo High School, Konandai High School, Yokohama Shodai High School ,Taisho High School, Murasakino High School, Marunouchi Judo Club, and so on. 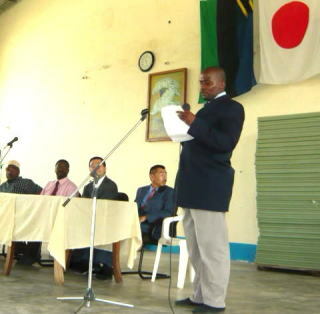 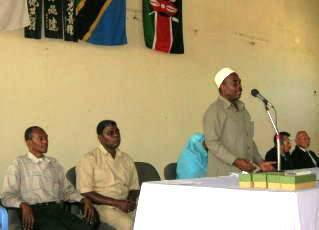 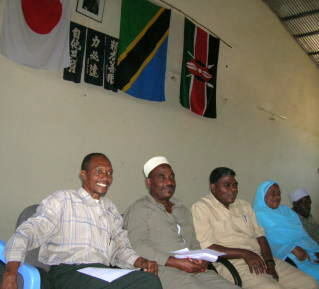 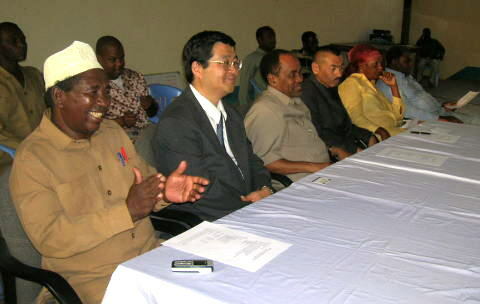 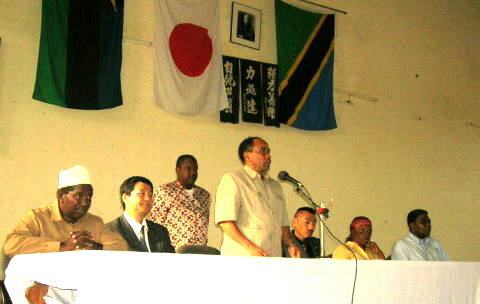 ZJA organized the ceremoney of contributions corporated with Ministry of Culture and Sports on 15/Dec/2007 at Zanzibar Budokan situated in Amani National Studiam. 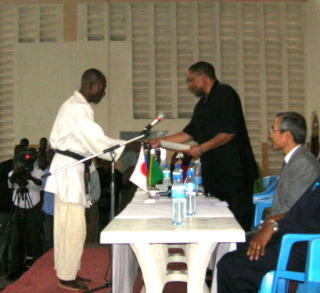 The representative of Zanzibar Goverment presented those contributions to the representative of Zanzibar Judo Association ,Mr.Haji Hassan, vice president of ZJA. 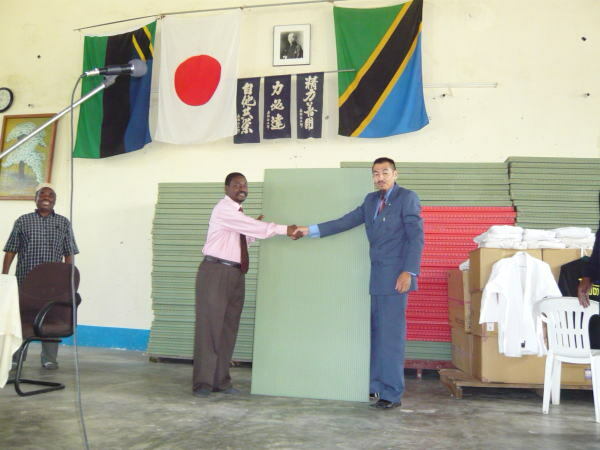 All of members of ZJA would like to say thanks a lot for Daiken Corporation, All Japan Judo Federation, Juntendo-University, Tokai University, the National Institute of Fitness and Sports in Kanoya, Isogo High School, Konandai High School, Yokohama Shodai High School ,Taisho High School, Murasakino High School, Yoshida-Dojo, Yokohama Africa Development Group and all contributors in Japan and promise to a good use. 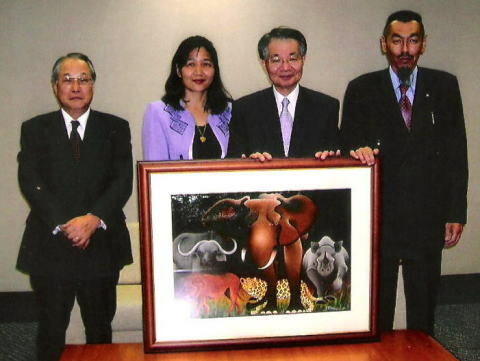 *President of ZJA, Mr.T.Shimaoka visited to Daiken Corporation in Ramadhan term, and met the president Mr.Hiroyuki Ibe & Mr.Yutaka Nishibayashi who concernd those contribution. 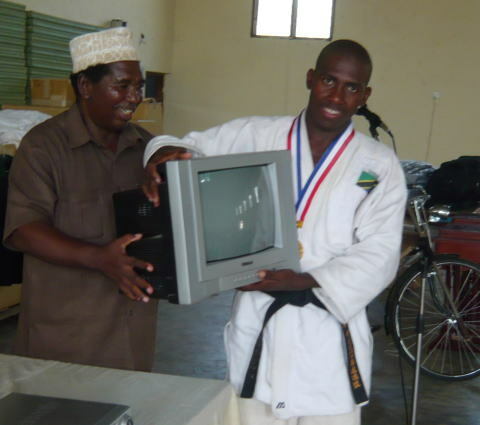 He sent letters of thanks one from Ministry of Culture and Sports and one from Zanzibar Judo Association with Gift, Tingatinga picture. 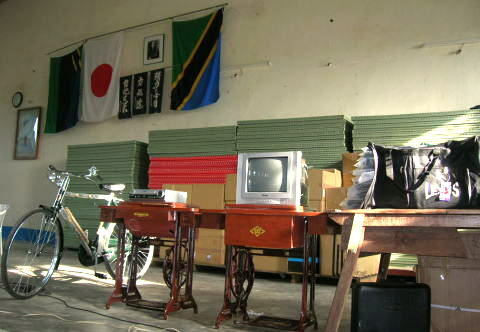 *Tinga tinga is the pop arts in Tanzania. 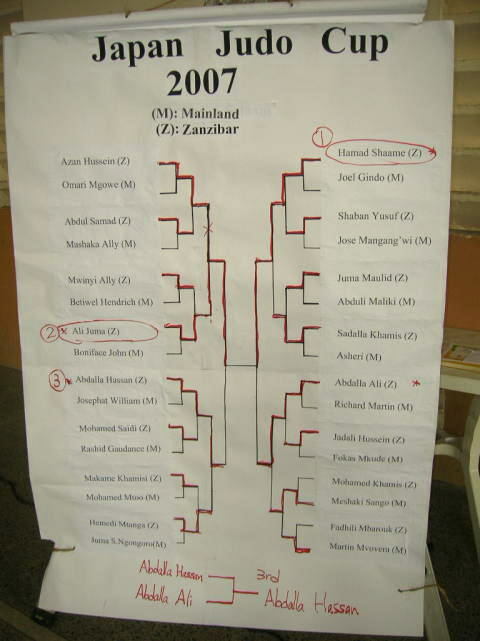 ZJA organised the 2'nd ZANZIBAR BUDOKAN CUP on 15/Dec/2007 at Zanzibar Budokan situated in Amani National stadium in Zanzibar. 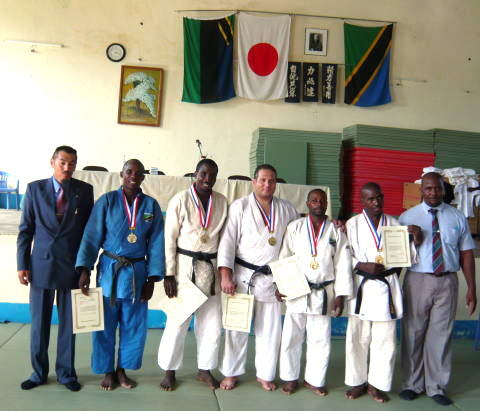 This is the All Tanzania National weight category JUDO Championship, the selection for National team of 2008, and the Raniking Competition. 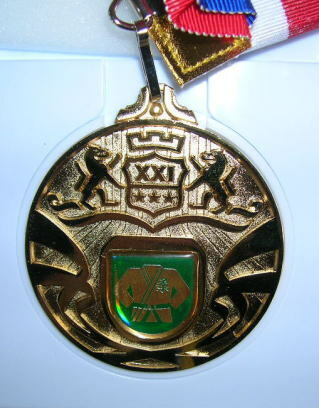 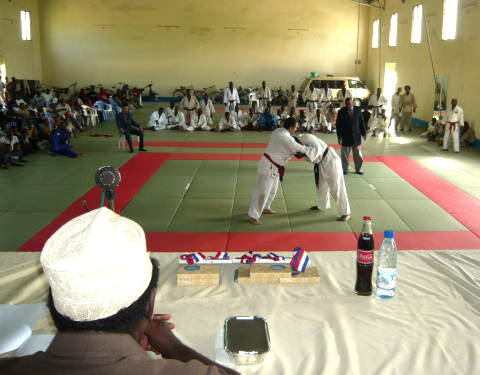 *Egyptian Judoka participated in this competition. 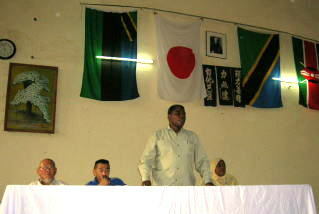 ZJA tried to prepare big prize for winners of each category and other prize for all participators. 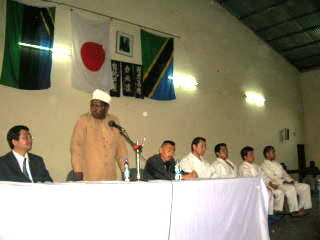 This is the second Zanzibar Budokan Cup, ZJA would like to continue Zanzibar Budokan Cup every year. 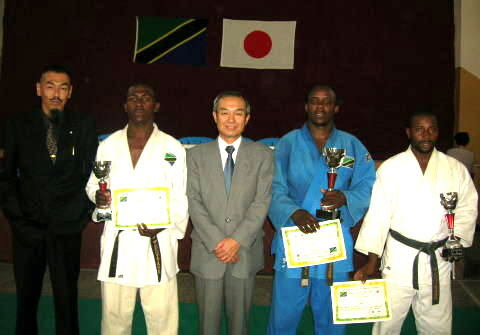 AbdulSamad Alawai and Azan Hussein got special award for thier efoorts and peformance. 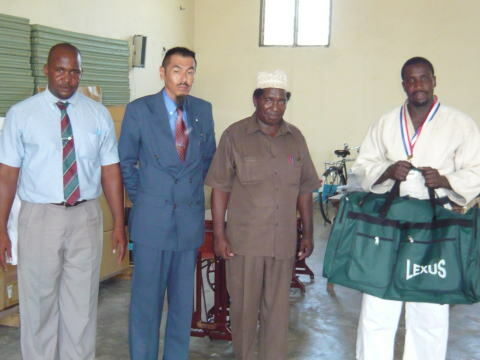 All competitors got sports bag. 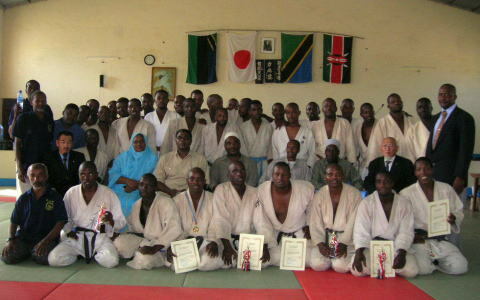 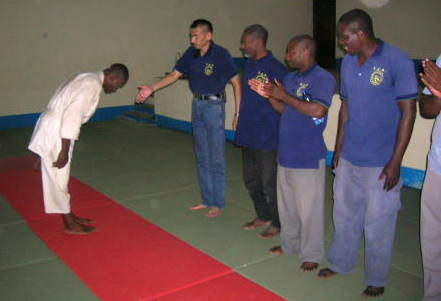 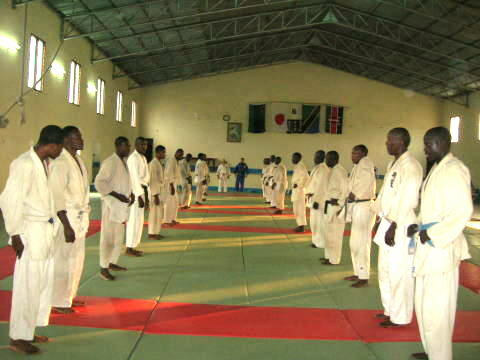 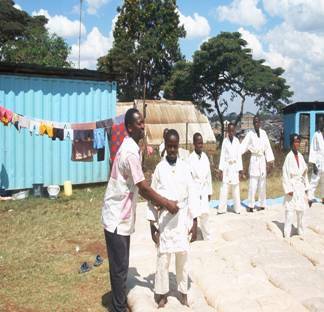 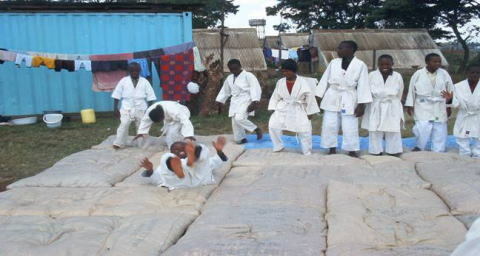 Ｚanzibar Judo Association contributed Ｊudo-gi　to Kenya United Judo Club. 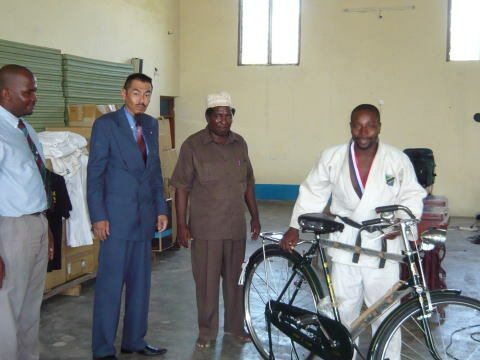 Our aim of this contribution is for supporting small boys and gilrs in Kenya. 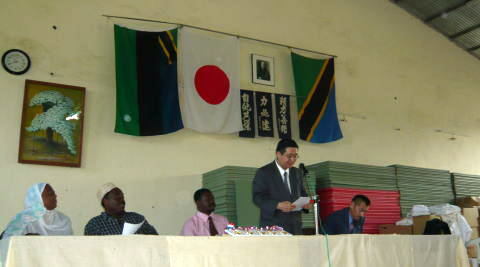 ZJA organized the Examination of 1'st-Kyu in Aug/2007 at Zanzibar Budoukan. 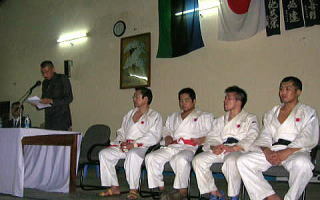 4 players passed the examination. 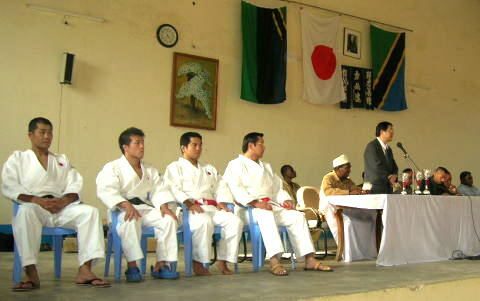 Four Japanese Judo experts from Kodokan Judo Institute visited Tanzania from 2nd to 7th August, 2007as the Cultural Presentations Abroad Program of the Japan Foundation. 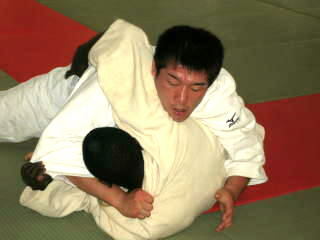 on 04/Aug at DonBosko and on 05/Aug at Zanzibar Budokan . 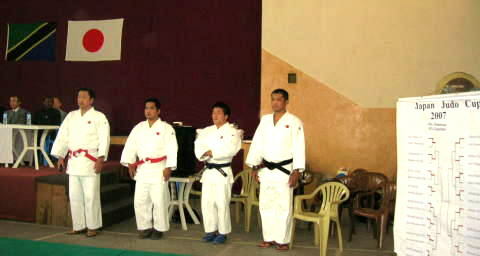 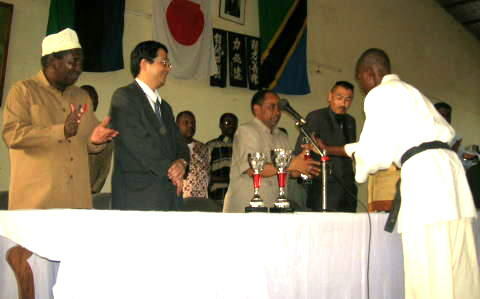 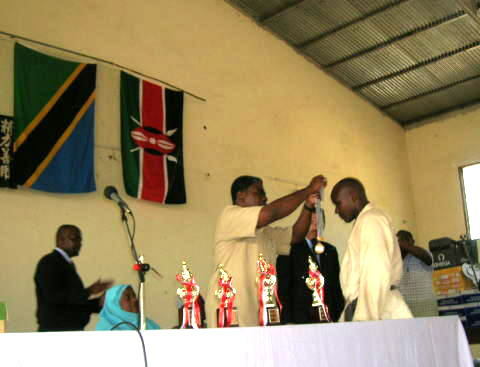 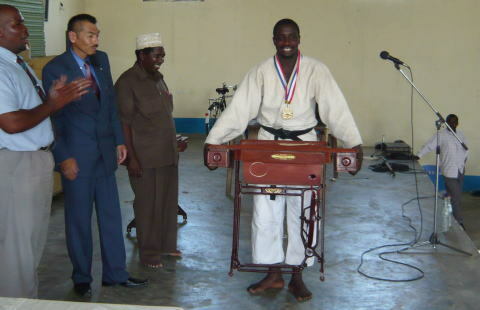 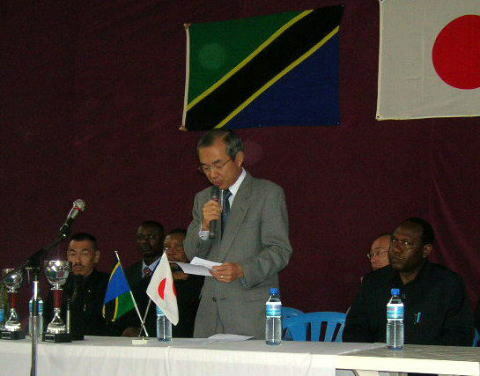 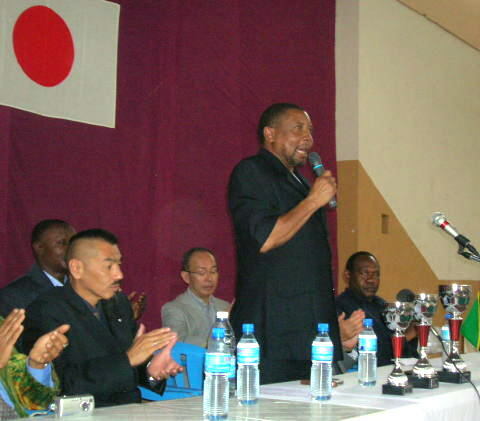 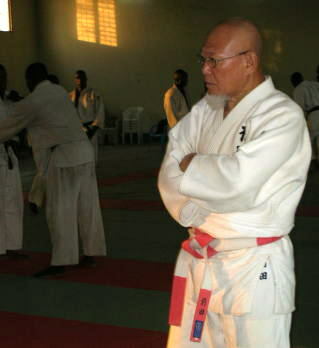 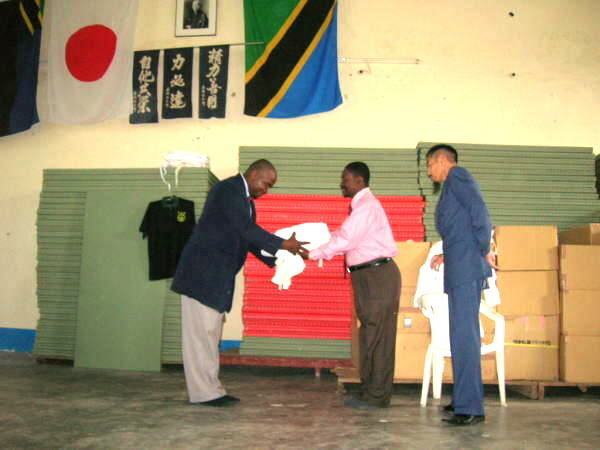 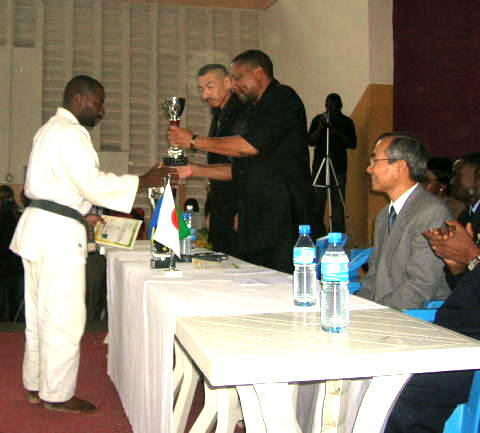 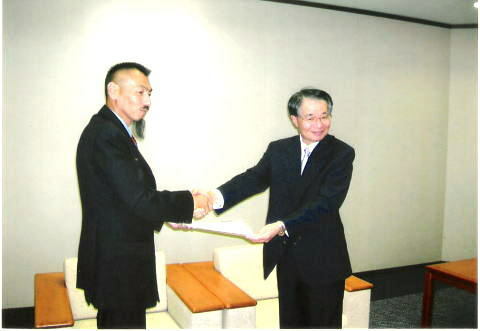 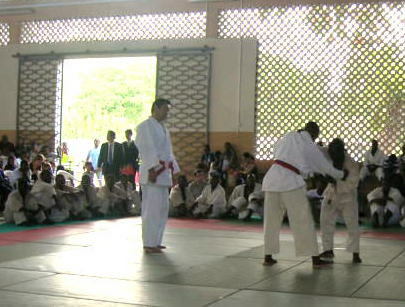 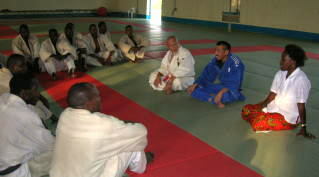 Awarding ceremoney of Japan Judo Cup2007 which held on 04/Aug in Dar es salaam. 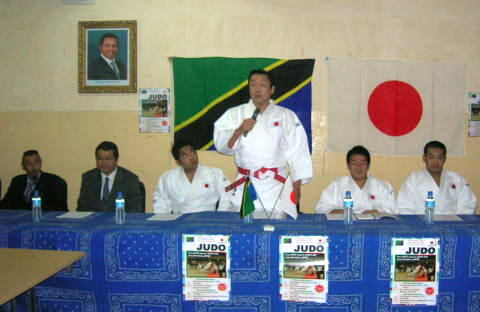 Japan Judo Cup2007 in Tanzania organized by Embassy of Japan on 04/Aug/2007 at Don Bosko in Dar es salaam. 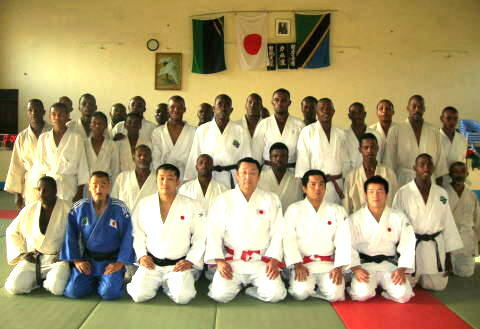 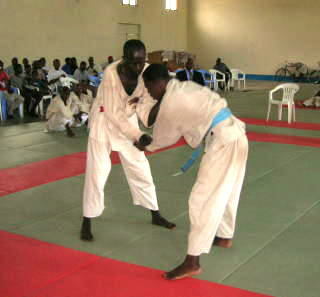 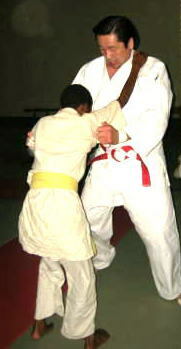 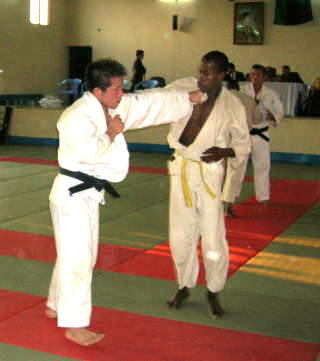 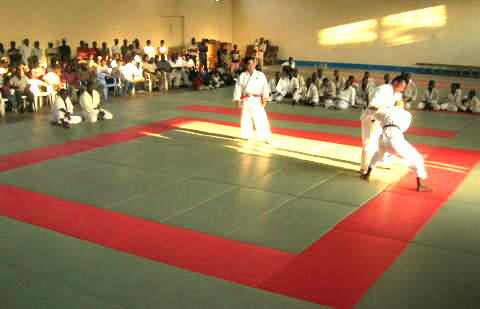 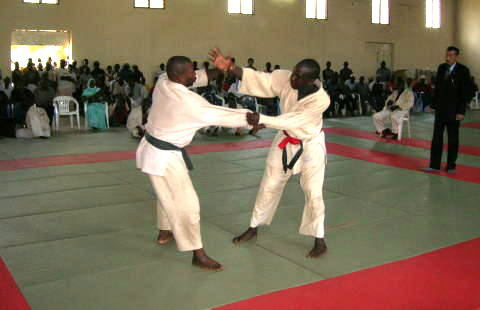 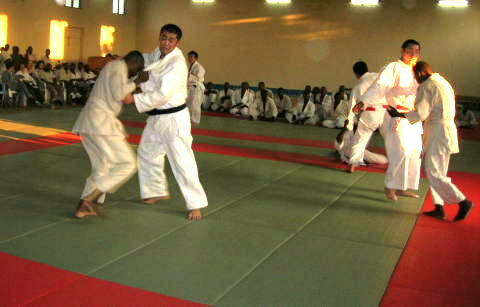 Japan Judo Cup2007 consisted of 32 players from Mainland(16) and Zanzibar(16) and competed for Open Category. 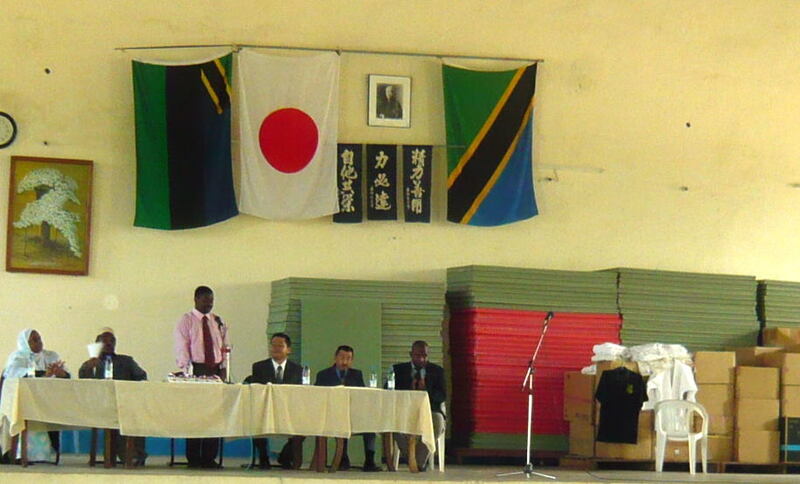 This was the 8th time since the Emabassy of Japan in Tanzania started organizing Judo Competition aiming for promoting Judo and Judo spirit. 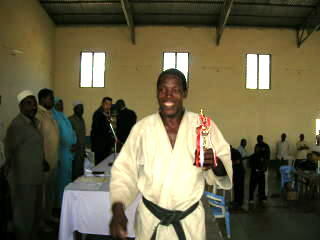 He got 1'st win 2007 and 2006. 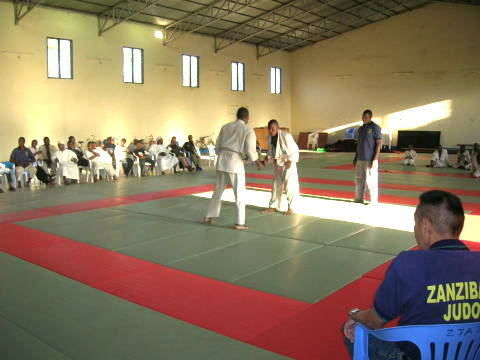 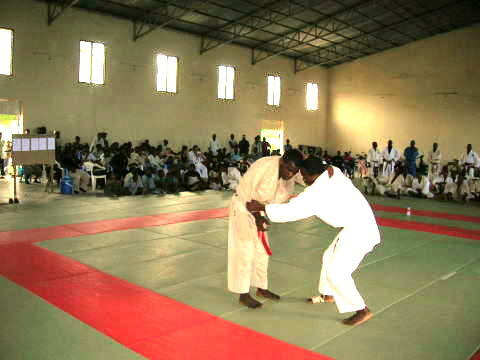 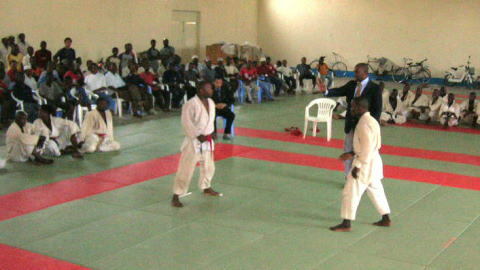 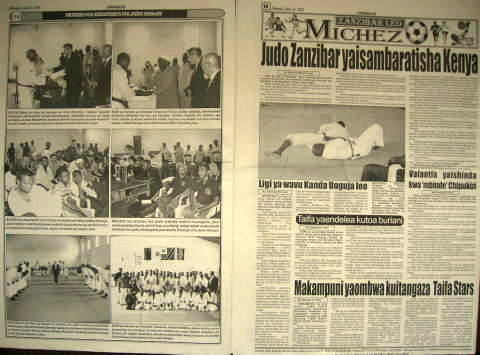 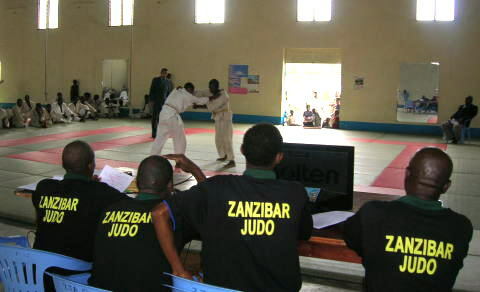 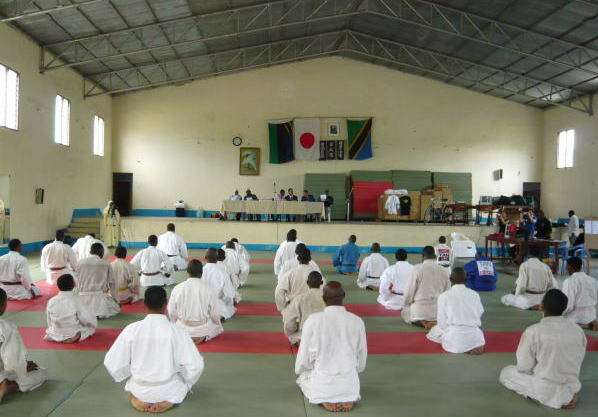 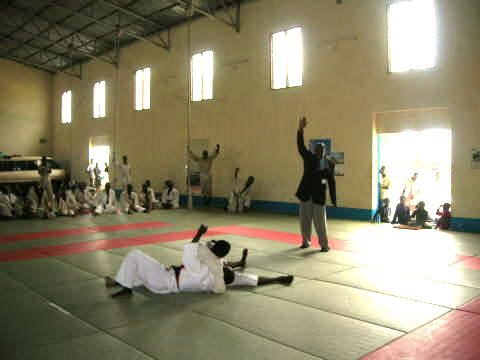 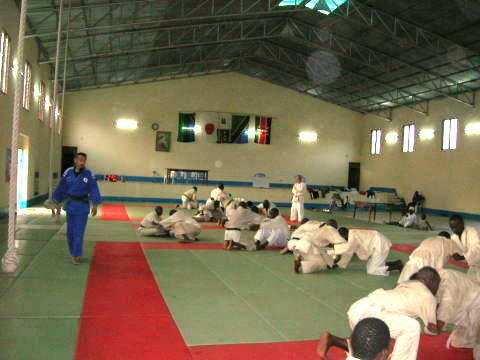 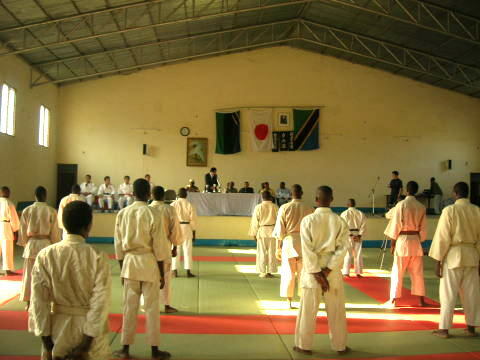 The 1'st Zanzibar -Kneya Judo Competition was held on 20/June/2007 at Zanzibar Budokan organised by Zanzibar Judo association. 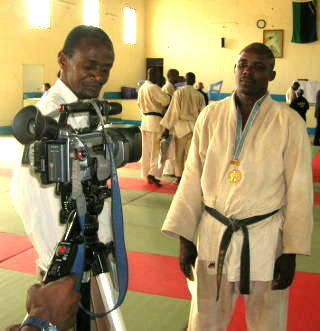 He competeds 4 games and got all ippon wins. 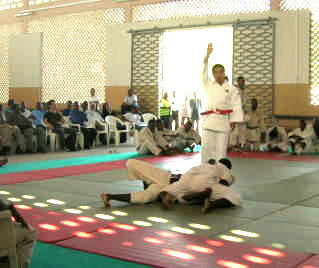 the youngest arthlate in this competition. 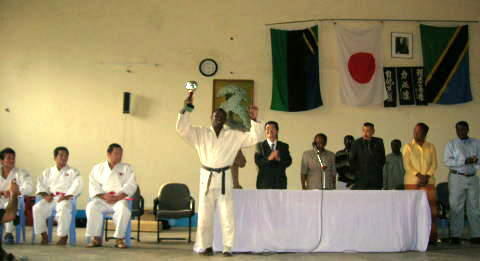 He tried his best and got one win from Kenya. 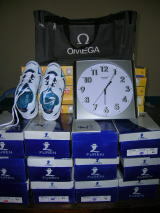 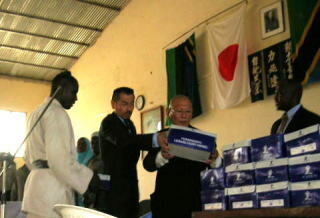 Mr.Maeda contributed to ZJA 30peais of training shoes. 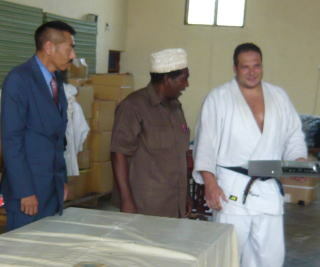 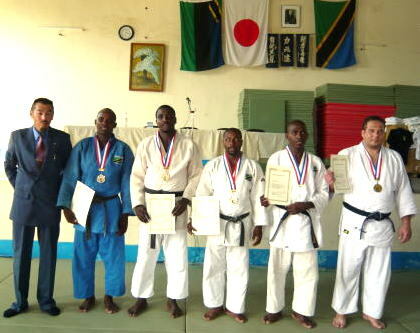 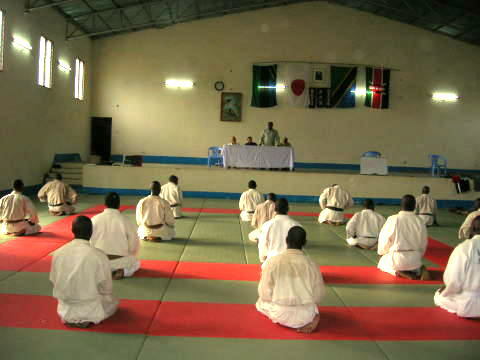 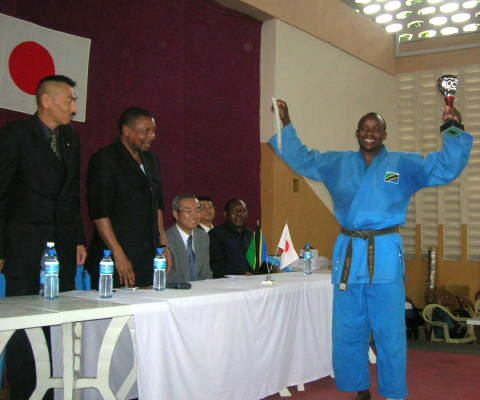 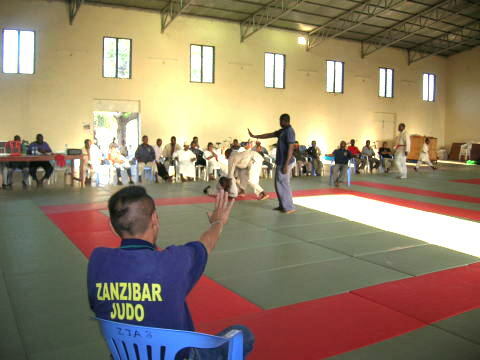 Zanzibar Judo Association presented to Kenya team Clocks and Sports bags. 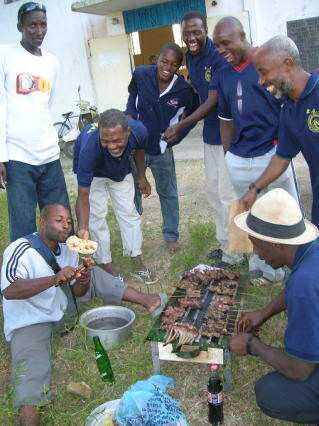 ZJA made Musikaki (African barbecue) party after competition. 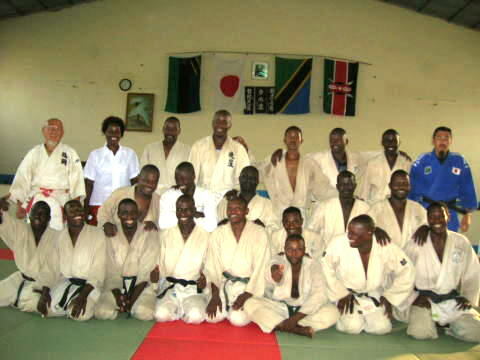 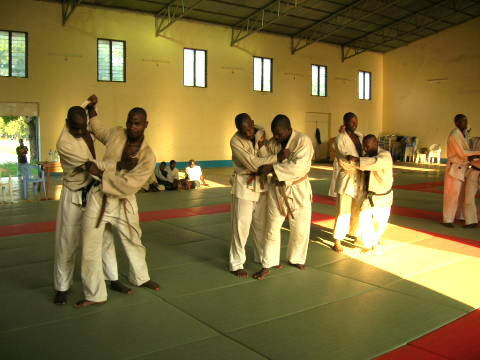 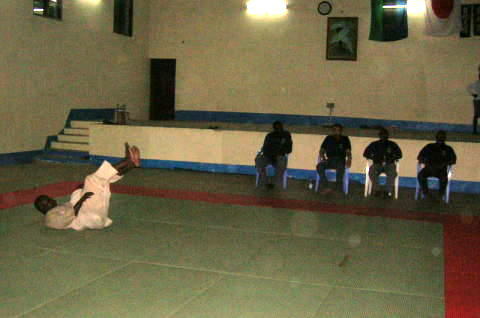 Zanzibar Judo Association organized the joint training Camp with Kenya team (1Coach , 10athelates) 14/June/2007---21/June/2007 in Zanzibar. 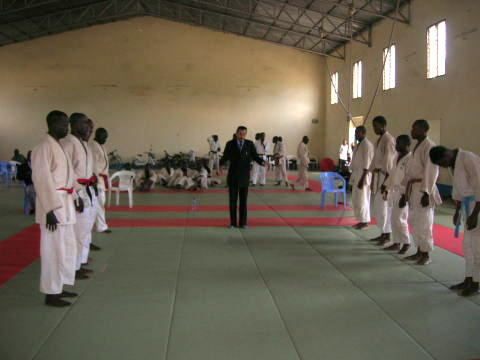 Ms.Irene Jackson came to inspect the trainig camp. 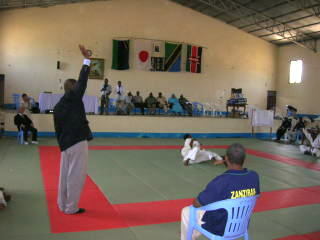 She is the coordinator of Judo in Tanzania Olympic Committee.